Unfortunately, for many teams the season is almost over and, if they are school based, they may not have access to the Cortex or V5 system until the next school year. That is a long downtime when students could learn a lot of important skills, like the advanced autonomous programming, if they had access to the hardware. Even though VEX system is positioned as affordable robotics platform it may still be out of reach for an average middle school or high school student. However, there is an inexpensive alternative that could give you a lot of educational value at a very reasonable price - well under $10. 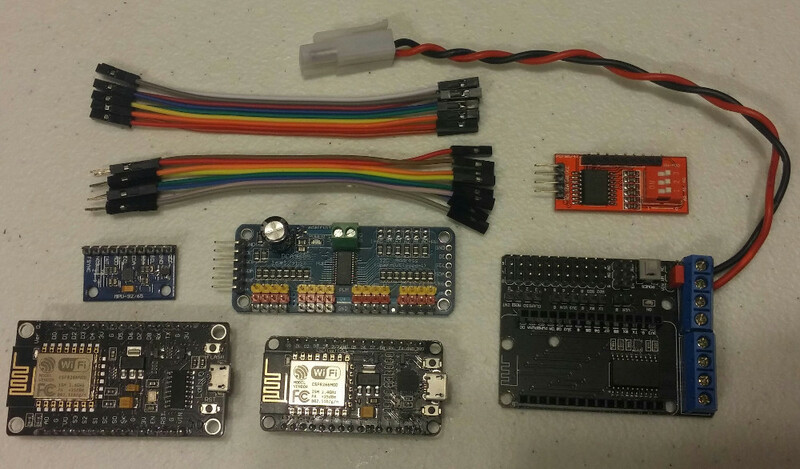 You can use almost any small Arduino-like hobby microprocessor (even without PWM outputs) to drive legacy 393 motors for autonomous programming. 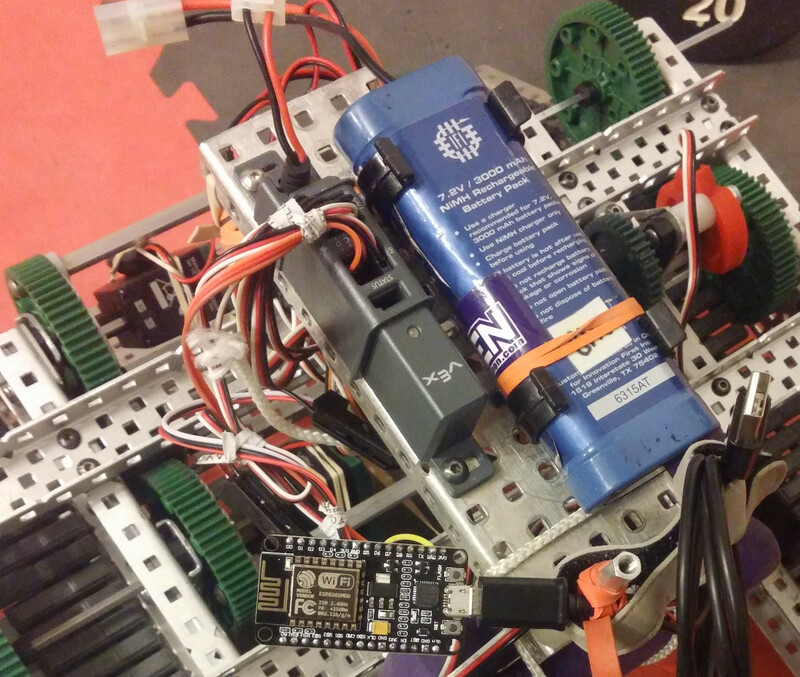 The challenge is to have an ability to drive it manually in teleop mode as you debug your robot. This was a project that a couple of our students have been working on for the past few months. It is nowhere near release quality, but I just wanted to give an early preview for anyone interested, who may want to order necessary hardware, which may take few weeks to arrive if bought cheap on Ebay. 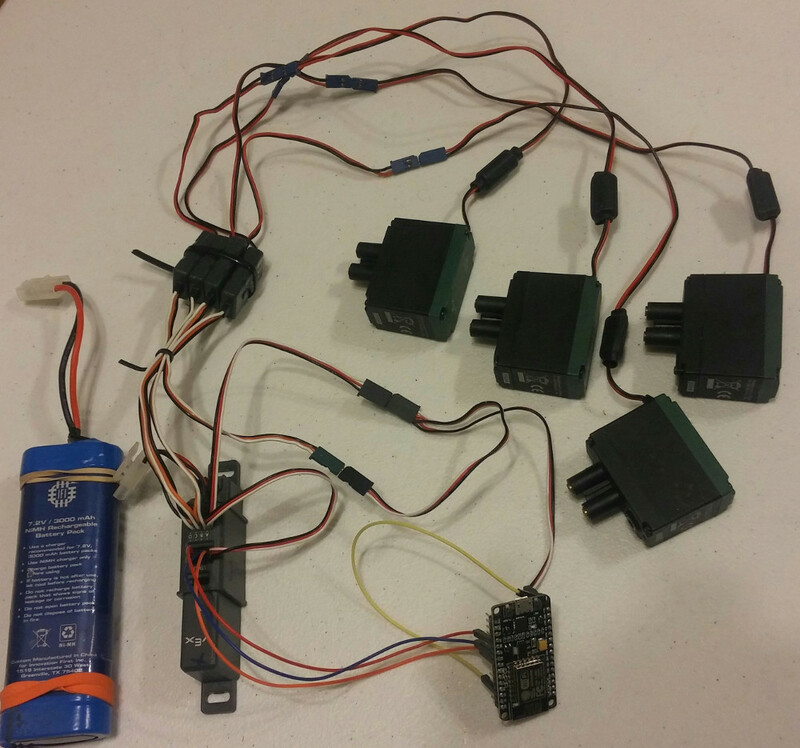 Even if your school cannot give you expensive Cortex or V5 Brain system with radio and controllers, but you can convince them to lend you an old battery, power expander, two Y-cables, four motors with MC29 controllers, and a handful of old sensors, you could do a lot of learning during the summer months. To get started all you would need to buy is a NodeMCU module and a handful of short Female-Female and Male-Female jumper cables. If you want to get fancy, beyond the 4 motor / 1 analog port limit of $5 NodeMCU module, you could order PCA9685 (16-Channel PWM driver) or ADS1115 (analog 4-port expander) and, perhaps, something like MPU-9250 which is Nine-Axis (Gyro + Accelerometer + Compass) unit. All of this could be found for a very reasonable price on Ebay.